Now with more than 1,100 detailed and accurate medical illustrations, this second edition of Atlas of Oculoplastic and Orbital Surgery offers detailed step-by-step instructions for 100 of the most common procedures—including 12 new ones—performed by eyelid, lacrimal, and orbital surgeons. In addition to technical steps, the book offers background material on pre-op prep and basic anatomy. You’ll also find critical tips to help you prepare effectively for all your operations and to minimize post-operative complications. Everything you ever needed to know about life on the wards that medical school didn't tell you. 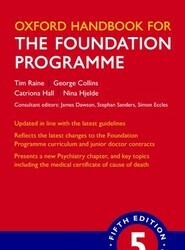 Includes practical advice coming direct from the authors' experience with topics from applying to the Foundation Programme to planning your career, and from interpreting results to performing practical procedures. 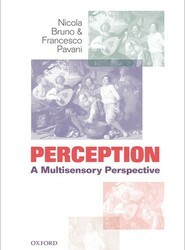 This book adopts a multisensory approach to understanding perception. Within it, the authors define perception as intrinsically multisensory from the start and examine multisensory interactions as the key process behind how we perceive our own body, control its movements, and perceive and recognise objects, space, and time. 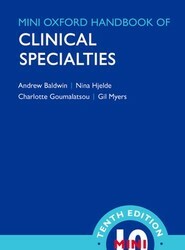 This great-value pack offers students a definitive resource on the clinical specialties. 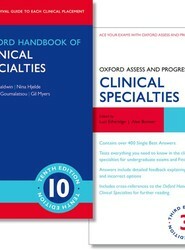 Containing over 400 Single Best Answer questions on the core clinical specialties, the third edition of Oxford Assess and Progress:Clinical Specialties is a definitive and unique revision tool. 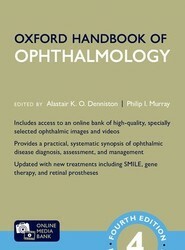 This handbook offers a systematic summary of ophthalmic disease directed towards diagnosis, interim assessment and ongoing management. Now including an extensive online image bank the fourth edition provides rapid access to the information when it is needed, whether in the clinic, theatre or on the ward. 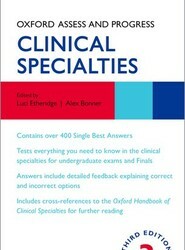 This is the definitive guide to the fourteen core clinical specialties that you will face during medical school and Foundation Programme rotations, and the must-have companion to the Oxford Handbook of Clinical Medicine.